This website is dedicated to the healing arts. To include: Products, Information and Services within those arts. More will be added when available. Reiki is a Japanese technique for healing, stress reduction, and relaxation. It is based on the belief that energy flows through living organisms. 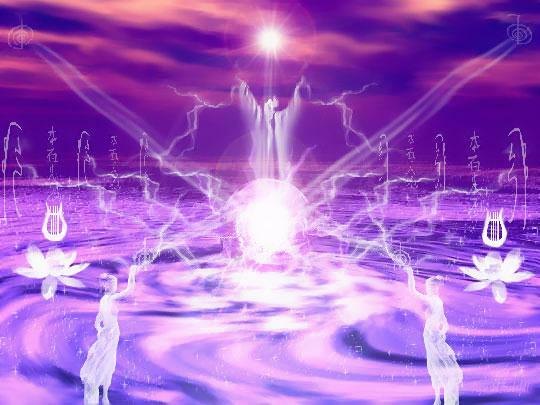 This unseen energy is typically referred to as "life force energy" or ki. 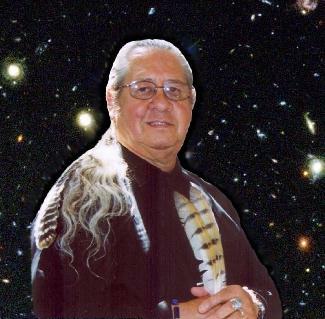 Many cultures, past and present have shared the belief in this unseen force and in the interconnectedness of all life. It is believed that one is more vulnerable to stress and illness when life energy is low or out of balance. Reiki practitioners channel this energy to help others. Reiki heals by breaking up negative energy and replacing it with positive, healing energy, which passes through the hands of the practitioner. Many times the hands of experienced Reiki practitioners grow hot when giving a treatment. Reiki is a simple technique to learn but it is not taught in the traditional sense. Rather, the ability to use reiki is transferred to the student by the Reiki Master. The ability to perform Reiki is not dependent on intellectual capacity or the state of one's spiritual development, making Reiki universally accessible. It has been taught to thousands of people of diverse backgrounds and ages throughout the world for many years. As holistic medicine becomes increasingly popular, Reiki is being hailed as a treatment for helping body, mind, and spirit. This makes it very different from traditional allopathic medicine, which typically only addresses the disease itself. The word Rei means "universal," or present everywhere. Research into the esoteric meaning of the word reveals that it is more accurately interpreted to mean "spiritual consciousness" This "consciousness" is able to see the root of all problems and then assist the body to heal. Other names for ki include Chi, as the Chinese call it, Ti or Ki in Hawaiian, Prana in Sanskrit, orgone, bioplasma, and odic force. Various cultures that recognize its existence have given it many other names. As long as something is alive, ki circulates through it and around it. When ki dies, the life force departs and the organism dies. Ki is also the source from which emotions, thoughts, and spiritual life are drawn. The Chinese have studied ki, or as they call it, "chi," for thousands of years and place great importance on it. One of their classic tomes lists thirty-two different kinds of chi and is over 4,000 years old. Ki is also used by practitioners of the martial arts for mental development and physical training. 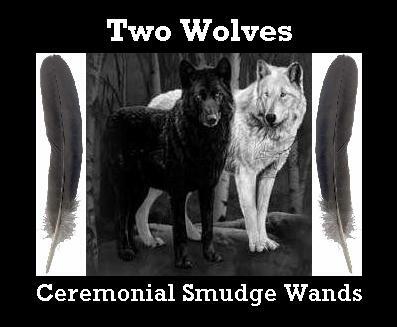 It is used in Pranayama (meditative breathing exercises) and by shamans in many cultures for divination, psychic awareness, and healing. 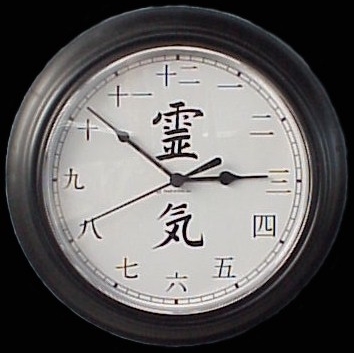 By creating the Reiki and the Reiki White Light clocks I hope you will find them to be of interest for your home, office, at your Reiki circle or as a gift. 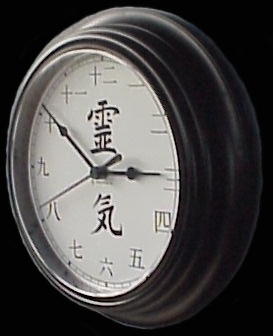 This clock has a 9" black plastic frame with a 7" black and white clock face consisting of numbers 1 through 12 in Japanese Hiragana fonts. In the center are the Japanese Kanji for REI and KI (pronounced Ray-Key). The name literally means Universal Life Force Energy. 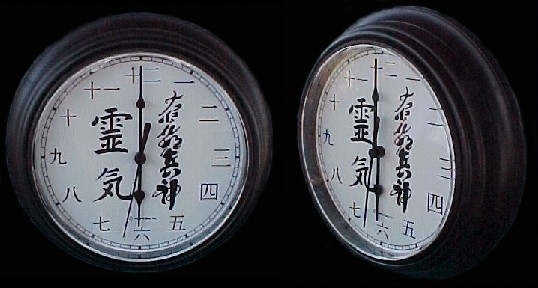 In the center (right) is the Japanese symbol for White Light (pure Life Force). The vibration this symbols calls is the primal energy of Life directly from Creator. I will always be grateful for my teachers/mentors that have assisted me along my path.